The eyes are a pitta organ. The inner physiology of the eyes is governed by "Alochak pitta." Pitta dosha is made up of fire and water. The fire element in pitta has the quality of giving light. Fire burns. But fire gives light. Fire has the ability to transform and give light. This is why the eyes are a pitta predominant organ. But the optic nerve and the eyelids are governed by Vata dosha, while the overall lubrication of the inside of the eyelid, and the eyeball are governed by kapha dosha. Vyana vata governs the optic nerve and eyelids, and Shleshak kapha lubricates the eyelids and eyeball. So whenever any formula for the eyes is put together, it should first be pitta pacifying: cooling. However, and at the same time, it should not be too cold so as not to aggravate Shleshaka kapaha and Vyana vata. 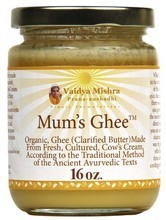 Vaidya Mishra's unique SVA Triphala Ghee formula for the eyes has probiotic ghee as its primary ingredients. Ghee is cooling and lubricating, but unlike other fats, it is also "agneya" - it has enough agni or fire molecules which make it an ideal fat that does not freeze our channels like other fats. Triphala is an ancient formula consisting of 3 fruits - "tri" for three, and "phala" for fruit. It is known for being 3 dosha pacifying. Not only that, but it also detoxes and rejuvenates. It has "shamana" or pacifying, "shodhana" or detoxifying, and "rasayana" or rejuvenating effect for all 3 body types and imbalance tendencies. 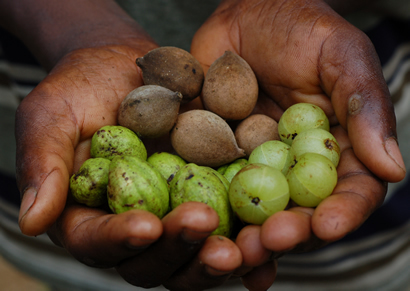 In the ayurvedic tradition, triphala has been used extensively for the eyes for both detoxification and rejuvenation. The unique combination of the 3 fruits - Haritaki (Terminalia chebula), Bhibhitaki (Terminalia bellirica) and Amla (Phyllantus emblica)- has an enhanced role in this SVA formulation since it is combined with Mum's Probiotic Ghee. The process of making this ghee adds to the medicinal properties of both the ghee and the 3 fruits: according to an ancient recipe handed over for generations in Vaidya's SVA lineage, all the lipid soluble molecules of the fruits, along with very little water soluble molecules, are captured through a unique SVA method of preparation. In order to ensure added pitta pacification for extreme pitta aggravation or pitta predominant people - since even Triphala may sometimes provoke high pitta - Vaidya Mishra has added rose-buds to the formula, much like his unique High Pitta Triphala capsules - for oral use only. Why use Triphala Ghee for the eyes? Of course, due to wear and tear, our eyes need additional care as we age. But we need to take even more care of them if we use them extensively for computer work. Long hours of exposure to electrical devices that contain more "agni," such as computer screens, can have a drying effect on the eyes. When we use our eyes for extended periods of time, then Shleshak kapha goes out of balance or dries out. Shleshak kapha is the balancing factor for Alochak pitta and Vyana vata. Alochak pitta and Vyana vata become imbalanced when Shleshak kapha gets aggravated from over-exposure to EMF devices. 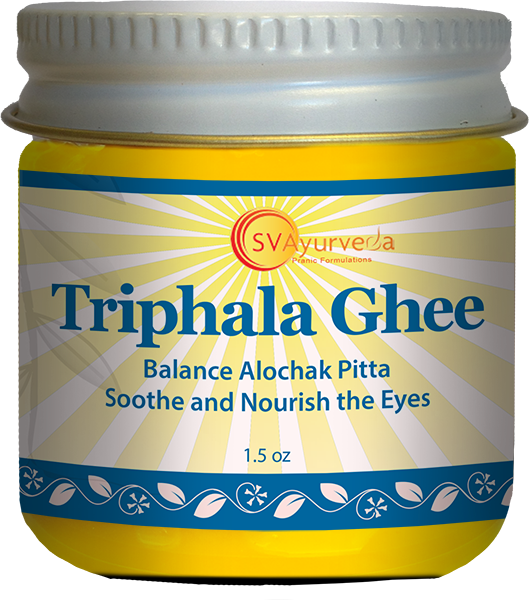 Triphala Grit or Triphala Ghee supports your eyes through helping restore Shleshak kapha, soothing and cooling Alochak pitta, and nourishing Vyana vata. 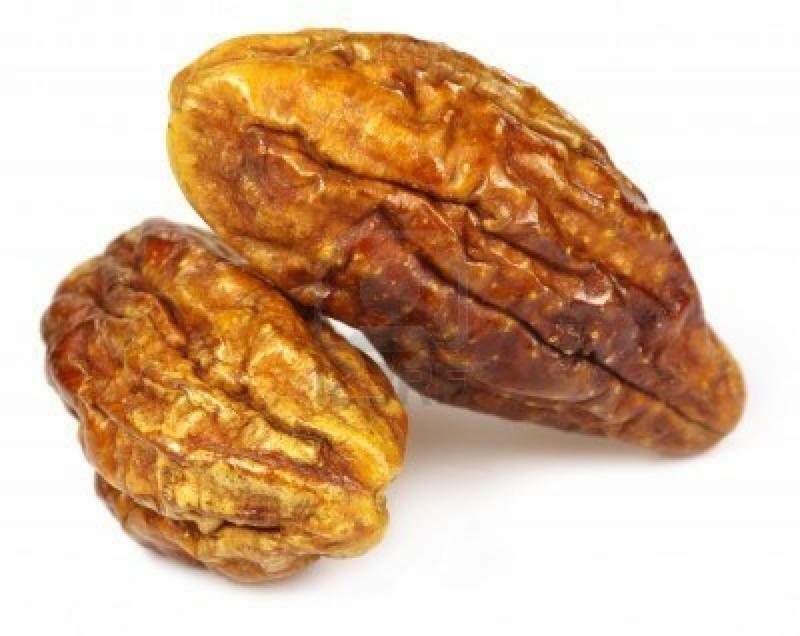 Haritaki (Terminalia chebula): the molecule of Haritaki transdermally detoxifies because of its shodhana effect. In addition, it also carries a rasayana effect that rejuvenates the eye and the muscles around the eye area, nourishing the nerves as well. The astringent property of Haritaki pacifies the "acidity" or "high pitta" that may be accumulated in and around the eye area, binding the toxic micro-molecules. Bhibhitaki (Terminalia bellerica): is known for pacifying the "shlesh ma" (shleshak kapha plus ama combination). Lipid soluble micro-molecules of Bhibhitaki break down and disperse the molecules of "shleshma" so that the Haritaki molecules can easily capture them and evacuate them. 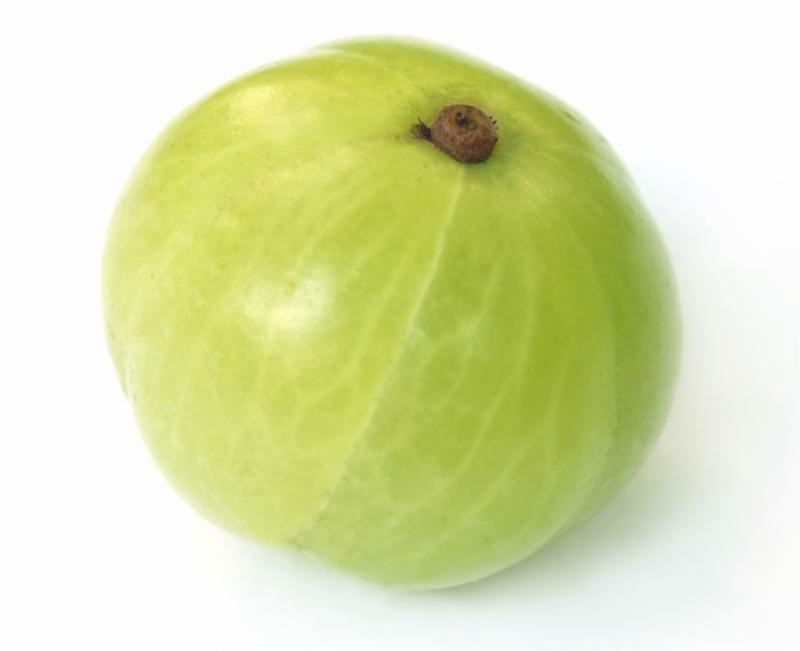 Amla (Phyllantus emblica): has a very specific "prabhava" or subtle post-digestive effect called 'chakchushya' - which means overall inside-out nourishment that rejuvenates the eyes. 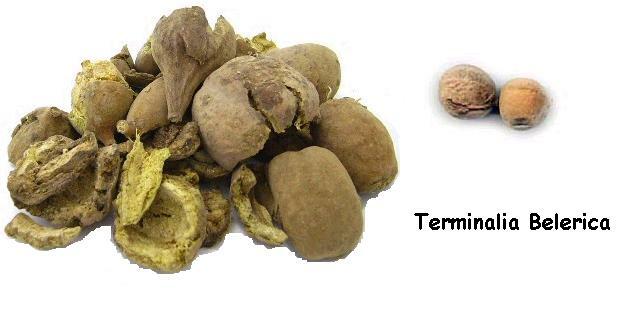 So it's an ideal fruit for the eyes, either orally or transdermally as in this Triphala Grit. Rose buds carry a calming and nourishing property, specifically for pitta. They have an overall pacifying effect for the eyes, including the optic nerve. Probiotic ghee: as discussed, ghee does not only carry the ideal blend of Soma and Agni, but probiotic ghee is additionally lively, nurturing and supporting, without clogging and freezing. It is light and supplies the benefits of the three fruits to the eye area transdermally for immediate absorption and benefit. After a few applications of this SVA Triphala grit, with all its balancing and soothing properties, your eyes will feel relaxed and lubricated. This Triphala Ghee will enhances sleep, as it gently takes away any dryness in and around the eyelids and eye area. This is a short-term benefit. Long term benefits will be: rejuvenation and detox of your eyes and eye area. Directions: before going to bed, take a small amount of Triphala ghee with the use of a q-tip or cotton swab and apply on and around your eyelids, eyebrows, and temple area. Use very little. After applying, spread out with your fingers, and massage in with gentle circular motion. Then close your eyes and lie down for 15 minutes. After 15 minutes wipe out all the ghee with lukewarm water cotton pads or a cotton towel. Make sure to remove all physical residues of the ghee. It is not necessary to keep any ghee left behind, as within 15 minutes of application, all micro-molecules of the ghee have already been absorbed and used up by your skin. Any residual ghee may cause toxicity by blocking your pores. If you have a medical condition or are experiencing any eye symptoms or problems, do not use this Triphala Ghee. Check with your medical physician immediately for proper care and treatment. This product has not been evaluated by the FDA (Food and Drug Administration). It is not intended to be used to diagnose, cure, treat, or prevent any known or unknown diseases. 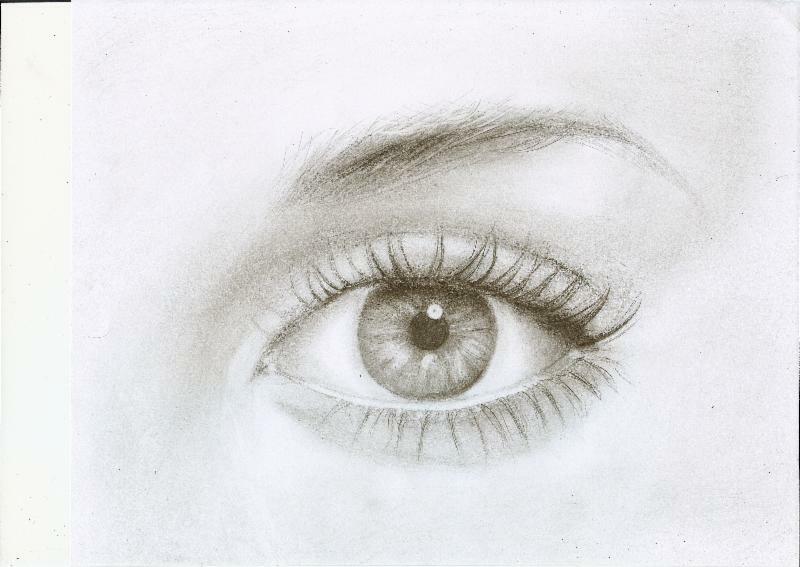 Eyes feel calm and relaxed and beautiful skin around the eyes. I use it nightly, along with rose eye drops. Great product! Soothing and made my eyes clear again! Love this product. Just started using, it is very soothing and feels good when applied to the area around the eyes. Triphala Ghee is a wonderful, soothing product good for anyone's eyes and especially for pitta I put it on at night and directions advise not to get in the eyes and I've never had a problem. I just ordered some for my friend who had cataract surgery . Click the button below to add the SVA Triphala Ghee to your wish list.